While you will want to put a lot of focus on what goes on with your fists when you start boxing, you definitely shouldn’t neglect your feet in this sport either. Being able to move around the ring effortlessly is vital if you are going to perform at your peak. If you look at a boxer like Floyd Mayweather then you will see that he relies on a terrific looking but highly practical pair of boxing shoes. Then there are boxers such as Manny Pacquiaco, who also uses stylish footwear that helps him to box to the best of his ability. You still might not think that boxing footwear is all that important. After all, as long as they don’t hurt your feet or cause you to fall over then they are doing their job, right? What else could they possibly be expected to do for you, after all? Well, the truth is that there are some extra concerns that you need to take into account in order to make a smart decision on your shoes. By looking at the following points you will be able to slip on the best boxing shoes your level, your boxing style and your budget. Once you start looking at the variety of options open to you it is likely that you see different styles to choose from. The good news is that it shouldn’t really be all that difficult to make a smart choice once you understand the main differences between these choices. High-top boxing shoes. This is the taller type of shoe that is clearly designed to give the best possible ankle support to the wearer. This is the best choice if you want as much stability as possible and don’t mind wearing footwear that weighs a bit more. You might feel a bit strange wearing them for the first time but your ankles will thank you for in the long run. Low-top boxing shoes. Naturally, this option gives you show that are lower in height, looking kind of similar to high-top trainers. 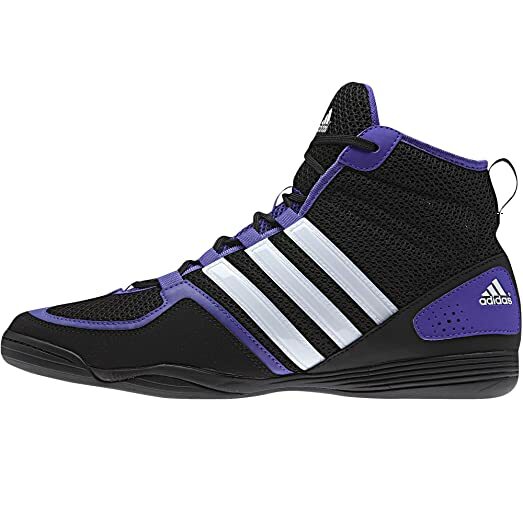 These are lighter and more suited to someone who plans to move nimbly around the ring as much as possible, just like these guys do..
Wrestling shoes. 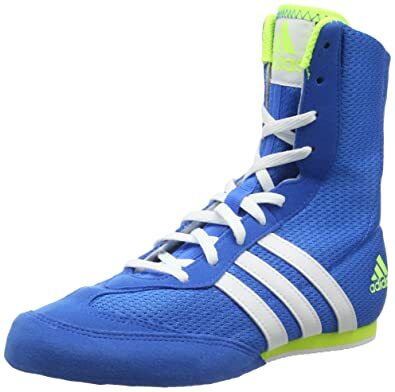 You might not realise at first that wrestling shoes are even any different from boxing shoes, as they look very similar. 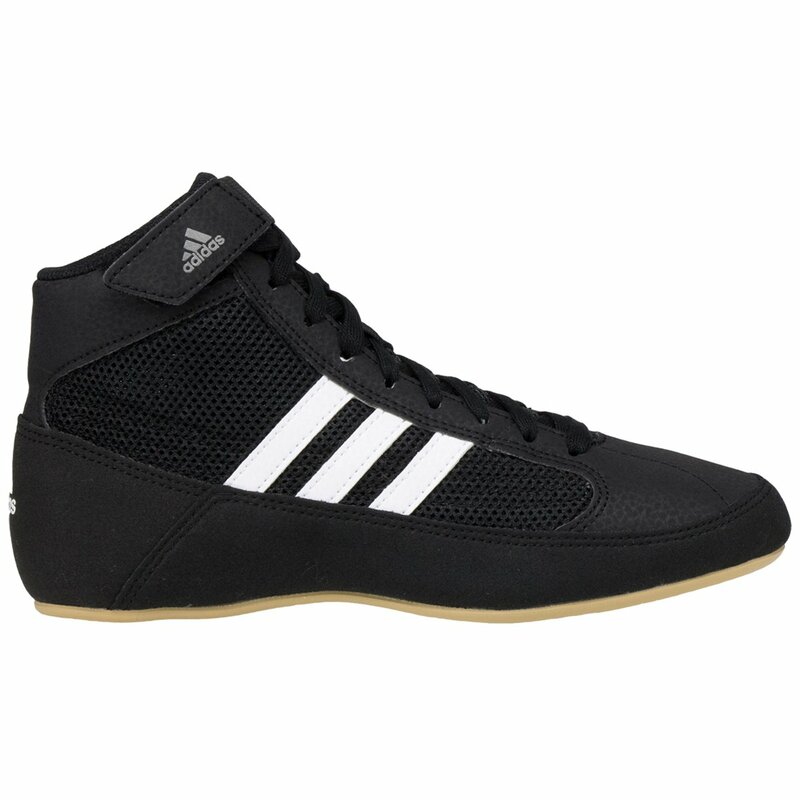 The main difference is that wrestling shoes has more grip, although for most newcomers this probably isn’t even going to be particularly noticeable. Of course, it is still better to choose shoes that are specifically made for boxers to use if this is the sport that you have your heart set on trying out. Beginner’s shoes. If you are looking at low priced boxing shoes then the chances are that they are aimed at newcomers to the sport. You can get a good, safe start to the sport with these models but you can’t expect them to last you long-term or stand up to the punishment of too many tough fights. Of course, these models mean that you don’t make too much of an investment in your new hobby. Pro shoes. This is the kind of boxing footwear that you would expect to see a pro boxer wearing on a big fight night. 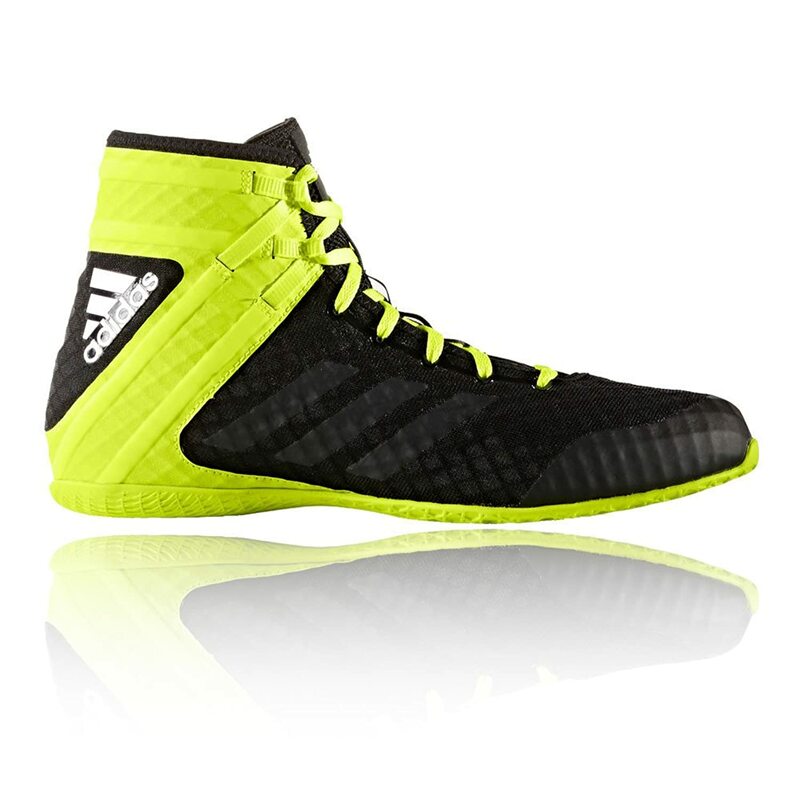 You will pay more for these shoes but in exchange you will get quality footwear that you can feel confident about wearing whenever you train or step into the ring. If you are serious about being the best boxer that you can be then this is the right choice to make. You will note that there are different types of material used in the boxing shoes for sale these days. This will dictate the price you pay and also how durable you can expect them to be. Therefore, it is a good idea to understand what the best boxing shoes are usually made of. Mesh panels. Keeping your feet cool and fresh is vital whenever you are working hard in the gym or in the ring. The use of mesh panels will ensure that you are able to do this no matter how tough your work. 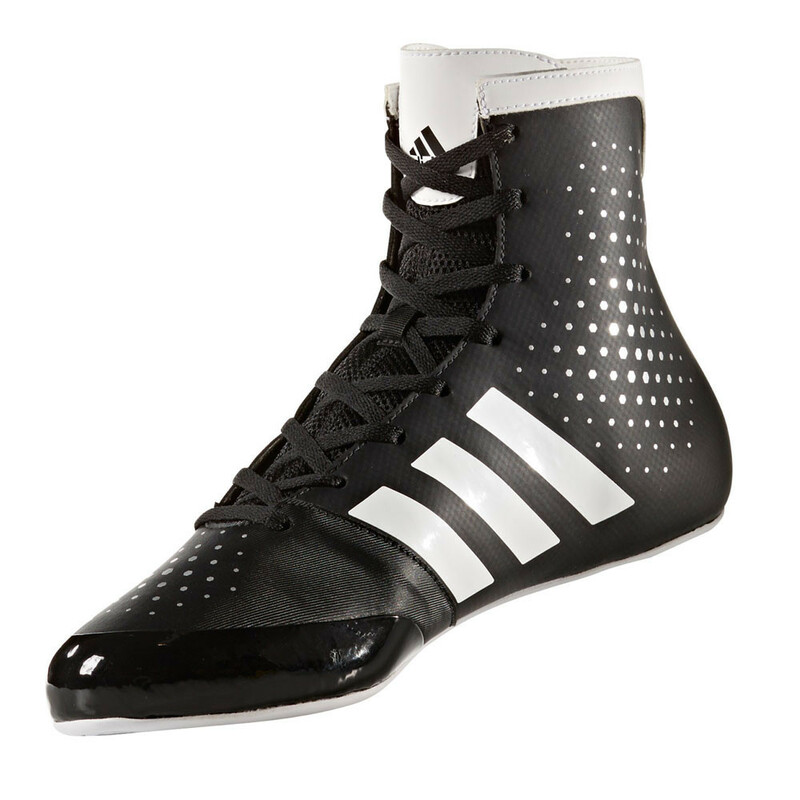 Some boxing footwear has big mesh panels while others have smaller parts like this. Rubber soles. The use of rubber soles will give you the best possible level of traction. They also tend to be lightweight to wear too. Of course, it is important that the grip doesn’t stop you for carrying out your footwork easily but being too powerful. Leather soles. This kind of sole isn’t as common as it once was. While leather soles will give you the chance to perform your best footwork moves, they don’t offer quite as much traction as leather soles do. Therefore, it is only really right for a certain type of boxer. Leather uppers. Leather uppers are extremely comfortable and supportive. However, this material isn’t quite as breathable as synthetic materials, as well as being more expensive. Synthetic uppers. This type of upper is now more common than leather, with the likes of nylon being especially common. 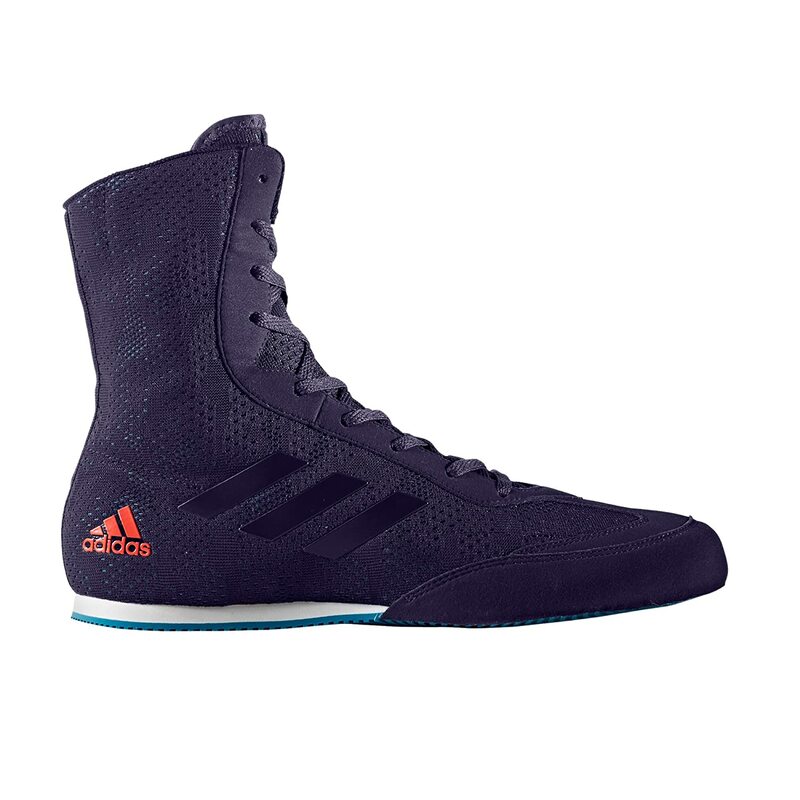 As well as being less expensive, this kind of boxing boot is also likely to be lightweight and nicely breathable as well. The points we have looked at so far should make it a lot easier to choose the best boxing shoes for your needs. However, if you are still in any doubt that the following issues should help you to choose as wisely as possible. Consider your boxing style. Not all boxers have the same style, so it stands to reason that they don’t all use the same shoes. Do you like to dart around the ring or stand and slug it out with rivals like these tough boxers? By taking a few minutes to think about your style you can get the right shoes to carry it off. For training, fighting or both? Some people who are new to boxing only ever intend to train in the sport in the gym, while others are keen to get out into the ring for some action. You might decide that your choice of the best boxing shoes really comes down to how you are going to use them, which makes a lot of sense. Get good ankle support. The support offered to your ankles is one of the most vital benefits of getting good boxing shoes. This will make you feel more confident and will also greatly reduce the risk of injury. Look for comfort. As with any type of footwear, feeling comfortable is crucial. You will want to feel ready for anything that comes your way, rather than worrying about your feet once you step into the ring. In fact, you should be able to forget all about your shoes as soon as you put them on. Choose good grip. Getting a good, dependable grip is essential when you are boxing or training. This will allow you to move around smoothly and feel completely in control of your movements at all times. Choose the right materials. As we saw earlier, there are different types of materials used, each of which has some advantages and some drawbacks. Therefore, it is all about considering issues such as comfort, weight and durability in your list of priorities. Get a good price. Obviously, the best boxing shoes cost a decent amount of money. However, if you are just giving this sport a try for the first time then you will probably want to get a good deal that lets you spend as little as possible. Thankfully, boxing gear in general isn’t particularly expensive. Try them on. You will want to feel as comfortable as possible when wearing your new boxing shoes, so trying them on is a good move. This will give you confidence that you have made a good choice. Boxing shoes are narrower than normal than most shoes and should feel slightly more restrictive while still being comfortable. Feel good as well as secure. There are a couple of things that you need to feel when you slip on your boxing shoes. You need to feel good but you also need to feel completely secure as well. This is clearly more important if you are planning on using them in fight rather than just for training, as you don’t want to feel restricted in any way. As you look through the list of the best boxing shoes you will see a number of world-famous brands on there. Choosing one of these companies will give you a greater deal of security that you are making a solid decision you aren’t going to regret in the future. It is no surprise to see this sportswear giant on the list of the main boxing shoe brands. As you can imagine, they offer a big selection of different models that are right for a wide range of boxers, as well as being reasonably priced. Anyone who has done any sort of research on boxing or who has watched fights in the past knows the name Lonsdale. This firm has a long and proud history going all the way back to 1959. 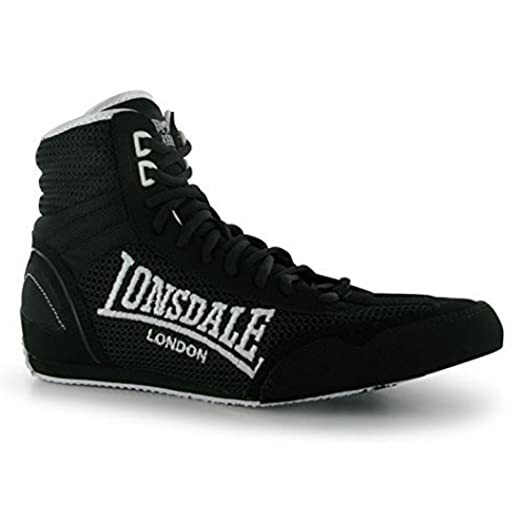 You will find a range of top quality boxing footwear for men, women and kids from this popular brand. Another big name in the footwear industry, Reebok has a good collection of boxing boots. You will different colours and styles here that makes it easy to choose wisely. This is a brand that might not be as instantly familiar to you as the others on the list. Yet, VELO has a strong reputation for producing good quality boxing shoes at reasonable prices. You won’t go wrong with this brand if you are just starting out.